While owning the latest smartphones has become both trendy and necessary;purchasing the most elaborate and unique protective covers for these gadgets are just as important to consumers. Most people are in search of covers that will bring personality and individual style to an otherwise generically bland device. Even more so, women are in search of cellphone covers that show glitz, glamor, and sophistication.While there are many companies that sell phone covers, many women specifically seek covers that provide flair and elegance, as well as high quality products made with good materials; that won’t easily break or fall apart. Many people intentions -now more than ever-are to stand out from the crowd with their clothing and footwear; but those who take the time to pick out an unique cover for their cell phones can make a statement with only half the effort that it takes to buy a new wardrobe. These covers can in fact become “statement pieces”. Gullei provides these types of products. Currently offering Samsung Galaxy crystal covers, which are available in samsung models for the S2,S3 and Note 2. Gullei offers the most enchanting and artsy pieces. They are very creatively made and have a design and flair that is not common among other cell phone covers made in the industry. There is a variety of selections to choose from and it has a great use of different materials within the product.Cover decorations range from white faux fur to the use of rhinestones crystals. Rhinestones line the edges of miniature elephants and crowns embedded into the surfaces of the small covers and these are just a few of the beautiful designs displayed. The choices are absolutely breathtaking and there is something for everyone. 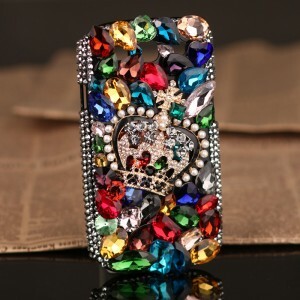 Crystal cellphone covers in particular, present the beauty and sophisticated look that women want and admire. They are colorful, feminine and chic.And much of the time these crystals appear very vibrant and eye catching. They draw countless compliments and are aesthetically pleasing to all who view them . Possessing one of these covers is like carrying a small piece of art in one’s purse or bag.It makes the owner feel bold and eccentric because this product stands out. There aren’t many words that can describe these pieces. In order to get the true experience of them, one would have to literally see them in order to believe. They can also be the best presents for girlfriends,wives, moms or even in instances of purchasing something for yourself. A special gift for anniversaries and birthdays, and all those occasions where one might be unsure what the women in their life might want as a present, these covers are a great gift idea. Overall, when diving into the world of cell phone fashion, one things is clear. People want a product that looks great. Nobody wants a product that is expensive yet unappealing.The great thing is that crystals will always be beautiful and visually attractive. They will always draw attention and will forever be in style. And lastly, everyone wants a good quality product , made with great materials. Human particularly women are very fond of jewelry; they are addictive to luxurious and exotic jewelry. Rings are important part of the jewelry items and embark the love between couples. Promise couple rings are a great way to express love for your partner and show appreciation of the relationship. 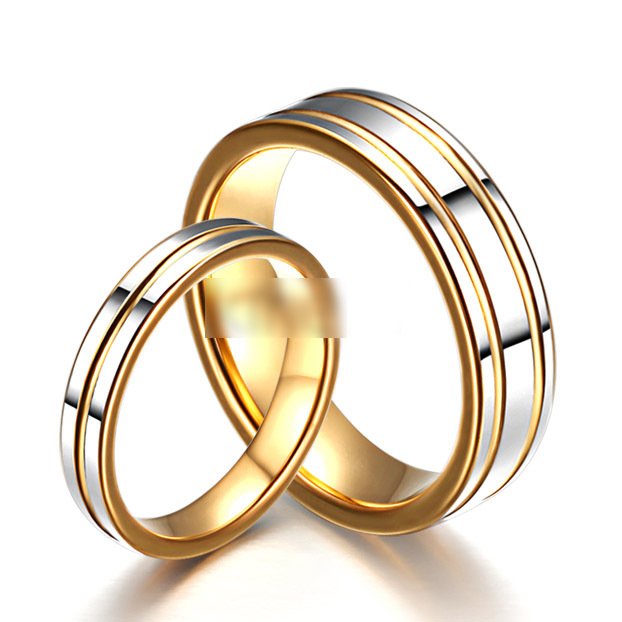 These rings are given to partner to signify the commitment of a monogamous relationship and often serve as the precursor to the engagement rings. These rings also serve the way to communicate the love you share with your partner and it represents the day you both became one. These rings are a part of the personalized jewelry made for the couples, which are dedicated to the companionship and love for each other. Promise rings are generally made of platinum or silver made materials. It is possible to make rings from the gold material but it is softer compared to the former. So rings made of silver or platinum material stays sharp and also looks legible even after many years. These rings are also less expensive compared to other engagement rings and also gives an important significance to the relationship. You even have the option of engraving some names on these rings, like the promise to be forever. These engravings give a personal touch to the rings. These engravings are usually done by the computerized technology and you have the leverage of selecting the font you prefer the most. If not there are many prepared template and fonts for selection. Sometimes you can get the engraving done at the jeweler shop at the time of purchasing. With the advancement in technology these rings have emerged as huge favorites. With the option of personalized engravings such as “Love you forever”, promise rings have become popular among young couple. Promise couple rings have certain designs that have a visual impact on the owners and make them feel good. These rings have certain ingenuity in the way they are designed and generally stand out from other normal engagement rings as innovative entity. Apart from the design and look the real purpose of these rings is to make the person believe the love which exists between two souls. These rings are very popular between the age group of 15-27 and are often given after a steady one year relationship. Sometimes these promise rings are also given by the soldiers to their partners, a promise to return after wars. Promise rings serve the purpose best and perfect way to keep the hopes alive while the soldiers are away from their partners. Promise rings are not exclusively made for the females and males have started wearing them, the purpose being the same “the promise of getting married one day”. The male promise rings represents wedding bands and are available in variety of designs and choices. Some even have the diamond engravings or other quality stones. The sterling silver Promise couple rings are also available both for male and females, engravable with birthstones. Click here to take a look at unique set of custom name inscribed promise couple rings. The age has come wherein even our phones have to be well dressed up for any occasion. With the release of the new iPhone 5, and the existent rave of the other iPhones like the iPhone 4S, 4 and 3Gs, then it cannot be avoided that most people’s phones all look the same; thus the need to dress them up. For girls, most especially, it is important for us to look good from head to foot, making sure that our look, though modern and classy, still have to look unique. This is the same thing for our iPhones. We prefer iPhone covers that do not only shout “glamorous”, but also unique. So where can we find 3D bling iphone cases that represent glamor, uniqueness and beauty? Luckily, we don’t have to go far. We can find the latest iPhone model unique covers through Gullei’s online shop. 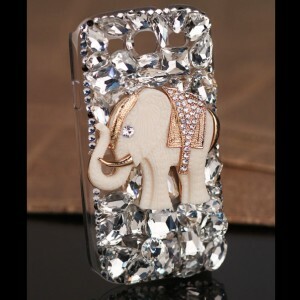 Gullei is best known for the intricacies of its crystal embedded iPhone covers. Unlike other online shops who sell the same kind of phone covers, Gullei makes sure that the covers are handmade, and are genuinely embedded and attached. They’re not just printed, like how other online stores create theirs. The creativity of the covers cannot be underestimated. There are also various crystal designs to choose from, from the simplest ones to those with the most intricateand complicated designs. The 3D effect is also realistic. Technically, it isn’t an illusion that the design is popping out from the cover, since it really is. More than the designs themselves, the reason why Gullei is where you can find the best kind of iPhone covers, is due to the fact that the availability of the designs are not exclusive to a certain iPhone model. Once you have already chosen a design, you can just click on the image and it will lead you to the page where you can choose from a drop down of iPhone model choices, whether it be the latest iPhone 5, the 4S, 4 or 3Gs. When you want to purchase an iPhone case online, or any product in general, it is important to be well equipped of all the possible information that you need about it. Gullei’s product page discloses all of these necessary pieces of information that any consumer should have access to. It includes a set of 3-4 images of the iPhone cover in different angles. It also gives details on the materials that were used, especially the specifics on what kind of crystals were used. The turn-around time of the shipping is also emphasized. Now that the holiday season is here, then we don’t have to think no more and do a tedious search online on what to give our mothers, sisters, and girlfriends who own iPhones. The package already includes a gift box, other related accessories, and extra crystals, rhinestones or pearls for the cover. It can also be a perfect gift for yourself. Dressing up your iPhone has never been this exciting. As girls, the innate qualities of being creative and the love for anything that shines, can definitely be well expressed through shiny, unique and glamorous phone covers from Gullei. 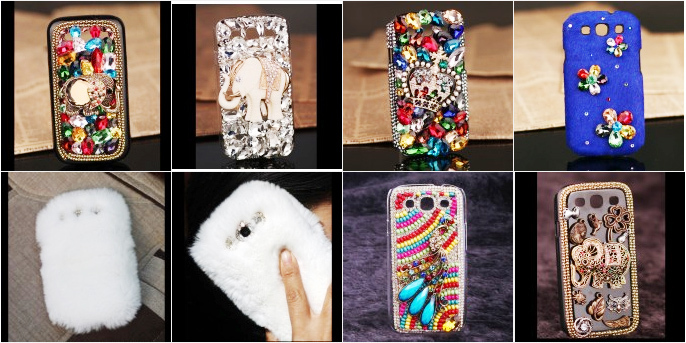 See below few of 2013 new 3d bling iphone cases for girls. Marilyn Monroe once crooned that “diamonds are a girl’s best friend”, and there is no doubt that the glitz of jewelry will add a sparkle to the eye of a woman. Times have changed, though, and women love glitz with gadgetry more than ever. It is no secret that finding the perfect gift for the special lady in one’s life can be a challenge, especially when the gift needs to be unique, useful, pretty, and conveys the message that she is special. If a smartphone is being considered as a gift, a Samsung Galaxy S3 or S2 phone is an excellent choice, and to give it the extra personal sparkle loved by women of all ages, one of the many Bling cases for the Samsung Galaxy is an excellent finishing touch. 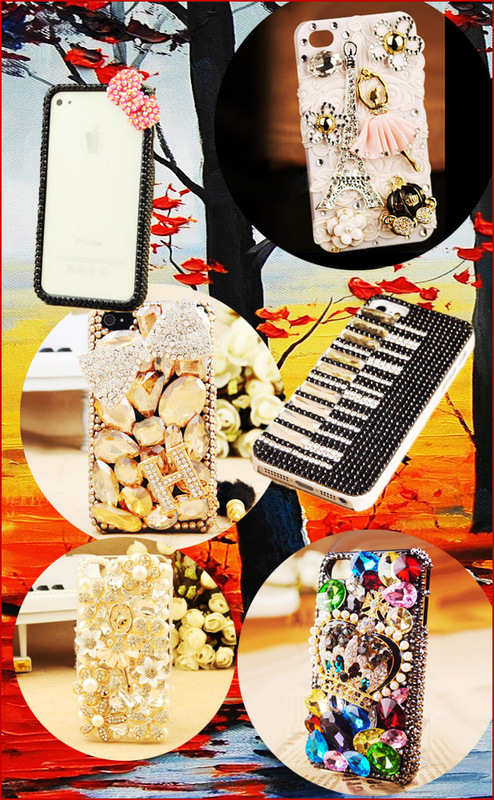 Rhinestones crystals shiny cases provide sparkle with a broad choice of styles. A style can be chosen that best fits the personality, fashion-sense, and beauty of that certain special lady. Regardless of gender, people are increasingly reliant upon their phones for all forms of communication, access to information, time management, organization, recipes, music, photos, videos, etc. These phones, and the information they contain, deserve protection. But, protection does not have to be blasé. Fashion trends dictate that bling is better, and 3D bling is better yet! 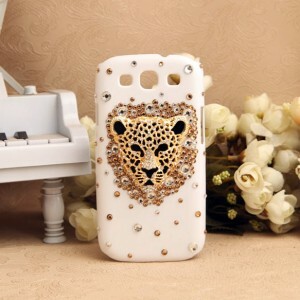 With scores of styles of 3D Bling Samsung Galaxy cases, from various merchants, at a price of approximately $40 each, finding the perfect case for that special lady will be easy. Some cases can be purchased from traditional retail stores and others can be bought from online vendors. In fact, some vendors, such as gullei.com, actually hand-craft the 3D Bling Samsung Galaxy case only when an order is received. They will also craft a Bling case for a Samsung Galaxy phone from any other style of Bling case for other brands of phones. Mostly it take 2 to 4 days because of the time needed to craft these beautiful cases and let crystals and charms properly glued over the cover, so for those who don’t mind the short wait, the end result is worth it. Although extra care is taken to ensure that the decorative gemstones and accessories are securely glued with only the highest quality adhesive, each case is shipped with extra gemstones for replacement, or additional embellishment if desired. And, the average cost from this particular vendor is actually less than $40. So you can get a very special handmade christmas gift for your girlfriend, gift for your wife, mom or a best friend for a very reasonable price. The degree of bling is not the same for each case. Some cases are relatively modest, with the dominant use of color with an occasional gem stone, or even a small sprinkling of smaller, shiny gems such as rhinestones. At the other end of the spectrum are cases that are stunningly covered in stones of various sizes, shapes and colors. And, in the middle, one can find variations between the two. Themes can be adopted for the cases as well. There are cases with hip and cool styles for the trendy teen, vintage or retro styles for the baby boomer, and elegant styles for those whose tastes are timeless. Click here to check out some of the hand picked unique covers for samsung galaxy s3 and s2.